A museum style custom mannequin and metallic display base for a screen used Star Trek Data Costume. 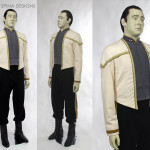 Our client contacted us about getting a custom mannequin for their screen used Star Trek Data costume worn by Brent Spiner’s character in the television series, Star Trek, The Next Generation. 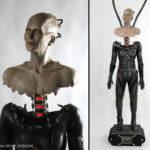 To create a custom mannequin we first start with the costume’s measurements and then work backwards. We reverse engineer the mannequin to make sure that the costume fits the mannequin perfectly. This involves fiberglass work, and padding with archival materials where needed to achieve the right “drape. 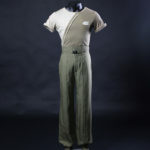 This means, we use stills or production photos to ensure that each costume hangs or lays the same way it did in the film or television show. 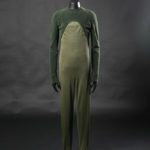 Since the client wanted all of the focus on the costume, we suggested a mannequin without a head, feet or hands. This gave the display more of a museum look. 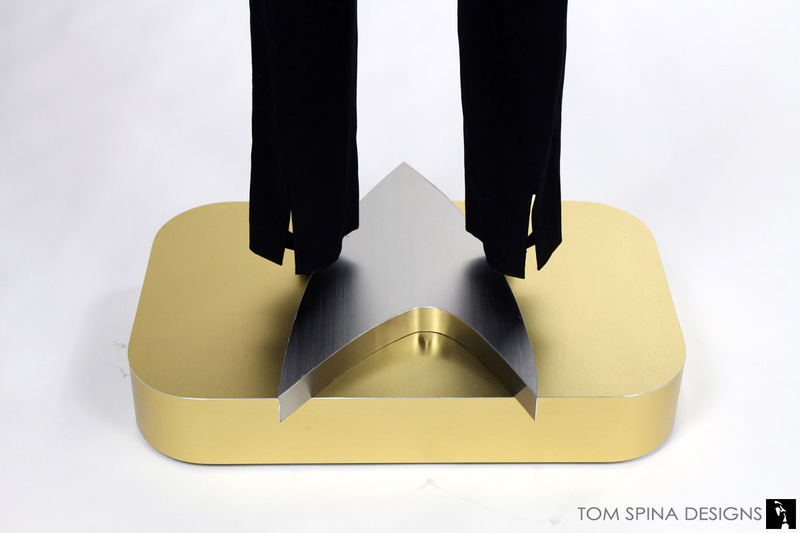 As the television costume’s boots were not present, we replaced the mannequin’s feet with posts that also help keep things looking clean and elegant. That said, we didn’t want this Data display to get boring! So, we thought we’d evoke a bit of the style of the Star Trek universe, and created a sleek, modern looking base. We used the Star Trek Next Generation style communicators as the inspiration. 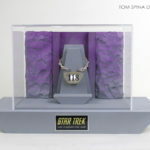 The gold metallic base features a large silver version of the Starfleet insignia. The base was custom built made of MDF and plywood. The laminate used to cover the wooden base is actually tinted metal. The metal laminate give the base the durability of laminate while giving a realistic metallic finish and the look instantly captures the feel of Star Trek. 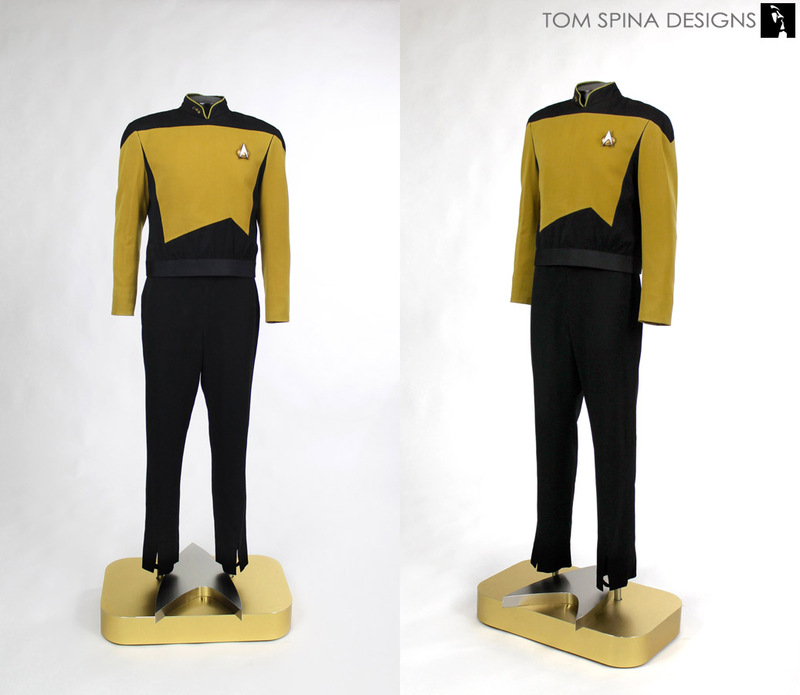 The finished Data costume display is a museum style masterpiece!